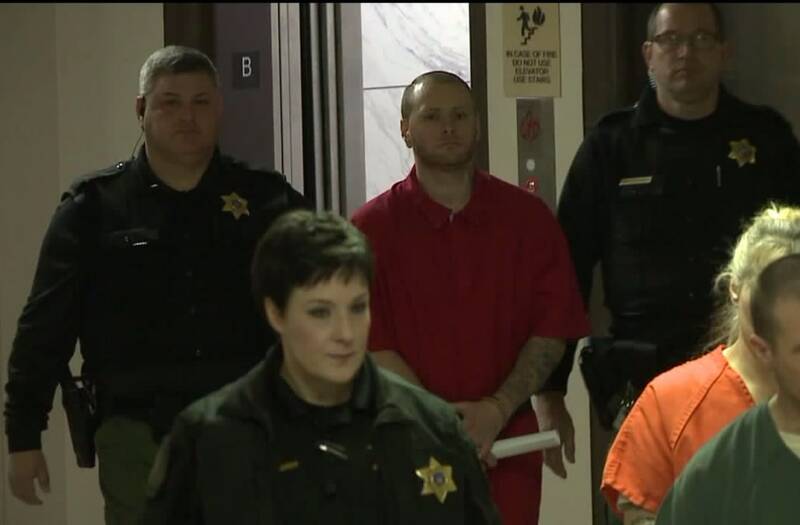 WILKES-BARRE, Pennsylvania (WNEP) -- The man found guilty of shooting up a Walmart parking lot has been sentenced to more than 100 years in prison. Scott Sargent will spend the rest of his life in prison. He was sentenced to 179 to 358 years Thursday morning at the Luzerne County Courthouse following that October 2015 shootout at the Walmart parking lot in Wilkes-Barre Township. Sargent was found guilty on numerous attempted murder charges in October. New and disturbing aspects of the case came to light at the sentencing hearing. The prosecutor in the case announced in open court that Sargent recently received a disturbing tattoo on his forearm. "We learned that he received a tattoo with five tombstones with the names of his victims that survived his attack, with a skeleton skull over the tombstones. We had investigators photograph it and that was used in his sentencing today. I thought the tattoo was deplorable. I think it's disrespectful but it speaks volumes of who he is and what his intentions were that day," said prosecutor Jarrett Ferentino. The wife of an officer involved in the shootout with Sargent agreed. "That tattoo is very appalling. I'm very disturbed that someone could actually do something like that," said Stacey Bouton, wife of Officer Brian Bouton. "When I first heard about the tattoo, I didn't know if it was a joke or not, but obviously, as it turns out, it's very real," said Wilkes-Barre Police Officer Alan Gribble. "It just shows exactly what kind of person he is and he has absolutely no remorse for what he did that day." The tattoo sent shock waves through the courtroom. "The rest of his life he has to look at our names on his arm and remind him that he's incarcerated and doesn't have the freedom and that he failed his mission," Officer Bouton said. Sargent had no comment in court.